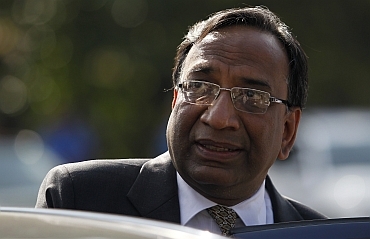 The new Chief Vigilance Commissioner Pradeep Kumar told CNN-IBN that there was no question of buckling under any kind of political pressure and that the battle against corruption will continue. Corruption is a scorch that adversely impacts all of us. It distorts our decision-making, leads to distorted priorities and it is against good governance. So corruption has to be dealt with ruthlessly and firmly. The CVC was constituted following a resolution in 1964. It is not a constitutional post like that of the Comptroller and Auditor General, Union Public Service Commission or the Election Commission. 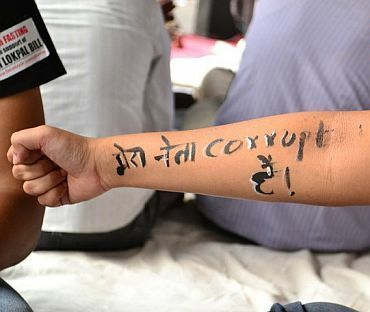 It was never foreseen that corruption would become such a big issue in India. Now, it a multi-member commission entrusted with the responsibility of looking after corruption in the central government. 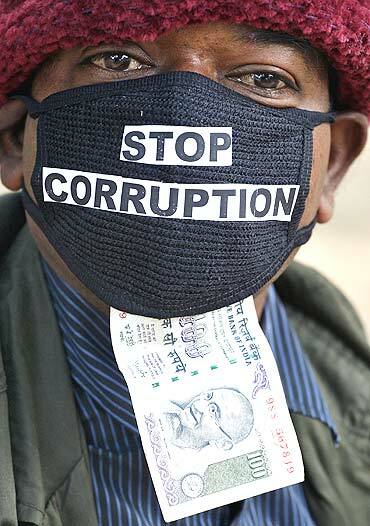 Corruption is a big issue in India and in other countries. Indians are as dishonest and corrupt as any other people. Indian bureaucracy also has its fair share of honest people. You cannot tar the entire bureaucracy with the same brush. So our job is to go after the dishonest and to allow the honest work fearlessly. The CVC as an institution and the selection process of the commissioner are different. The CVC has a record of working as a watchdog against corruption. The selection process is one thing and if the Supreme Court came to a conclusion that there were aberrations, then they were rectified by the system. 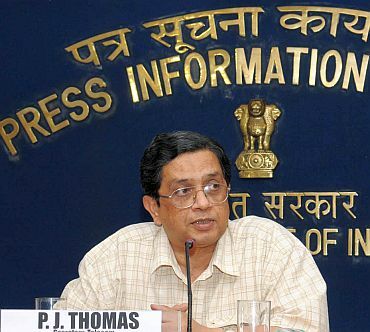 The CVC is always under intense scrutiny, not because of what happened to P J Thomas (the former CVC whose appointment was squashed by the SC) but because of the nature of the job and the current environment. Transparency demands every institution including the commission should be under public scrutiny and we welcome that. It was for Mr Thomas to take a view. I have no view on that. The Lokpal Bill has been in the box for the last several years. Now, it would be debated in Parliament and let us see what will be the outcome. 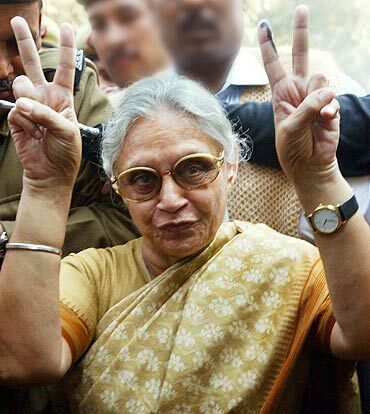 I don't know what shape and form the Lokpal would take. Therefore, I would react as the CVC once the contours of the bill are clear. We are there to go after corruption. The corruption at the lower level in public sector units is being handled by the vigilance department of those PSUs. The CVC Act only provides that officers of above a certain rank come under the purview of the commission. But when cases of corruption are on the rise the solution does not lie in not dealing with the cases. What it calls for is to strengthen the CVC with more resources and people so that it can tackle the corruption wherever it exists. There are a lot of developments on the 2G scam and CWG scam. There is a Shunglu Committee report and there is CVC report. The CVC has recommended action and those who are to take action are processing that. I've not gone through that CWG report. But action will be taken those who are found responsible. We will pursue our recommendations. The accused in the 2G scam moved Supreme Court for bail. The SC in its wisdom denied bail. So I'm in no position to comment on that. The court has held that bail can't be treated as a fundamental right and it is within the discretion of the courts. The SC has come to a conclusion by going into the facts and the circumstances of the case. There was a problem with regards to procedures and maintenance of land records etc. The procedural part needs to be remedied. But deterrent action should be taken against those who violate laws. 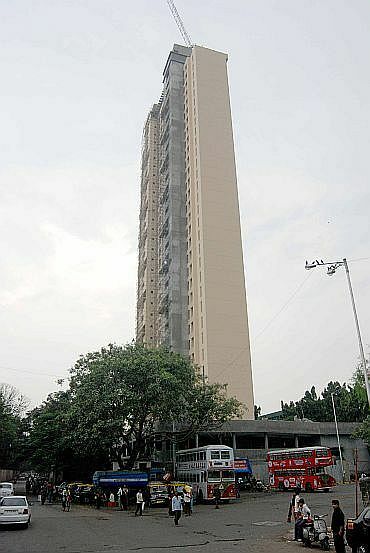 Ultimately, the Central Bureau of Investigation is investigating the matter. There is a Maharashtra government commission looking into it. But if laws have been violated then people should be punished. The system should also be so designed to ensure that such a scam does surface again. I've consistently held that corruption needs to be dealt with ruthlessly. There are many reasons why corruption is rampant. People are at the root of it, but administrative delays, discretionary decision-making and arbitrariness in decision-making are also to be blamed. Our cumbersome procedures are a problem too. Our efforts will be to deal with corruption at all levels with a preventive approach and stringent deterrent action. Preventive proactive approach includes to sensitise people and to inculcate right values. Acts speak for themselves. Definitely we will see that the corruption is handled firmly. There would be fairness, equity and transparency in the functioning of the CVC.